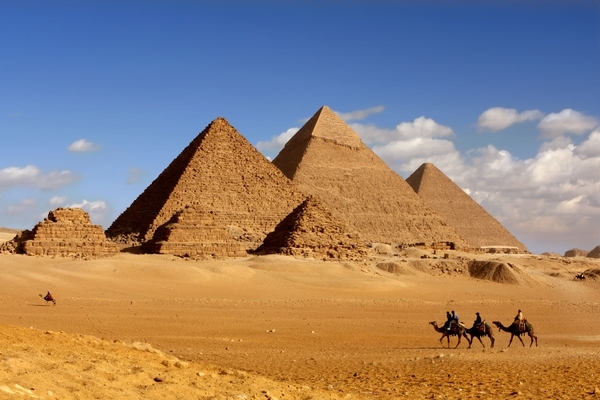 From the Great Pyramid of Giza to the Great Barrier Reef, the various wonders of the world, both ancient and current, have long fascinated travelers and inspired countless journeys around globe. While there’s been debate for centuries about which of the world’s most remarkable sites belong on the official Seven Wonders list, there’s no question that these places continue to be the stuff of travelers’ dreams. For those whose pocketbook, however, is not as large as their travel bucket list, Exodus Travels has come up with a solution. The company has just kicked-off its #My7WorldWonders contest exclusively announcing the contest with TravelPulse. This once-in-a-lifetime opportunity will allow three winners to see the seven wonders on their personal list for free with Exodus Travels. The contest’s launch follows on the heels of Exodus Travels’ last wildly successful contest, Win a Trip For Life, which took place last year. Win a Trip For Life invited travelers to share their bucket list destinations in order to win a grand prize that included one trip, every year, for the rest of the winner’s life. To enter the contest, simply visit www.my7worldwonders.com, and complete the online entry form. Entering merely involves selecting seven of your personal top world wonders from the video content presented on the site. After entering the contest, each entrant receives a short, personalized video that’s based on the seven trips selected. “With so many different types of world wonders around the globe to learn about, Exodus wants to give travelers the opportunity to choose their own unique list of wonders.” said the company. Whether you’re captivated by the Northern Lights dancing over Iceland’s snow-capped mountains, or by spotting India’s elusive Bengal tiger in the wilderness, now is your chance to share your dreams with Exodus Travel and win a trip of a lifetime. Brooks said the contest also offers travel advisors the ultimate opportunity to generate incredible booking leads and authentically engage with their clients. The #My7WorldWonders contest runs in the United States and Canada from October 10, 2018, until January 15, 2019. The contest will be launched and run separately in the United Kingdom. Australia and New Zealand. Winners will be randomly selected on January 17, 2019. The contest is open to all legal residents of United States, Canada, United Kingdom, Australia and New Zealand who have reached the age of majority in their province/territory of residence at the time of entry. Optical illusions: Paris art looks VERY different from another angle – were you surprised?